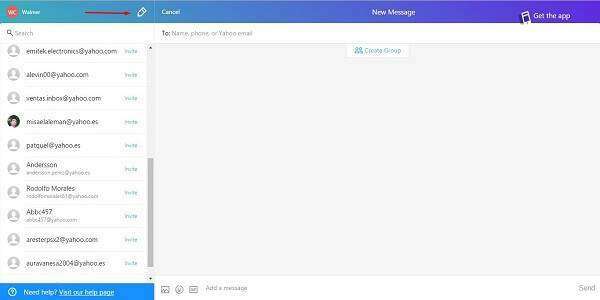 You do not know how to use yahoo mail chat, here in this category by means of pictures and videos we show you how to do it, from how to start session in yahoo chat to send messages and communicate. Sometimes it’s more convenient to have a real-time conversation with someone instead of writing an email, waiting for a response, and then writing again. 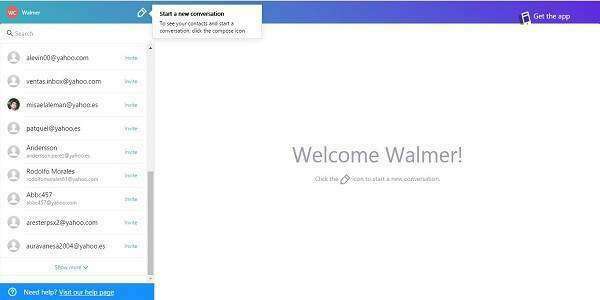 For these situations, you’ll want to take advantage of Yahoo Messenger, a chat app that comes built into your Yahoo Mail. It doesn’t require any additional sign up – you can access it directly from your inbox! 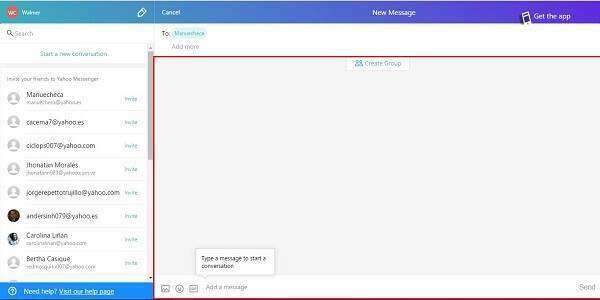 In this tutorial, you’ll learn how to chat in Yahoo Messenger step by step. 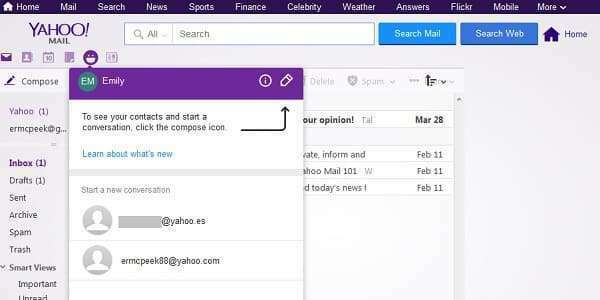 To get started chatting, login to your Yahoo account if you haven’t already done so and go to your Yahoo Mail inbox. In the upper left-hand corner is a menu bar with several icons. 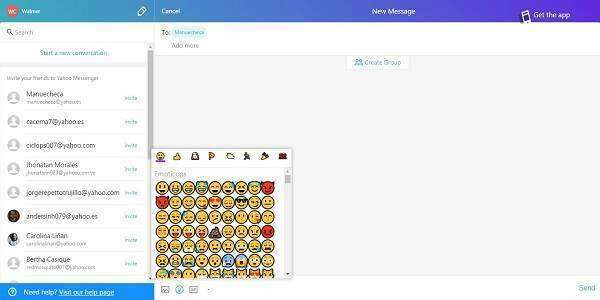 The second to last is a little smiley face icon; this smiley face is the “face” of Yahoo Messenger. 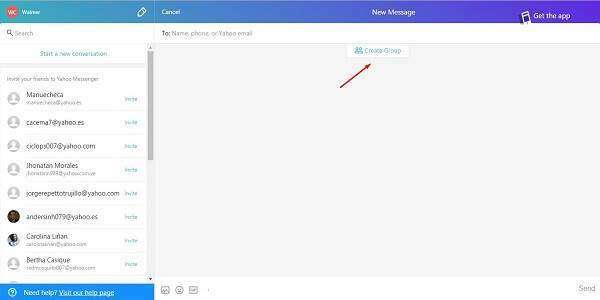 To open the messenger, click on this icon. 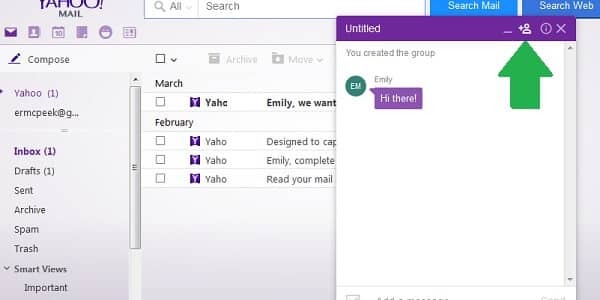 This will open a little popup window where you will verify your name, which will be shown on your Yahoo Messenger profile to the people you chat with. 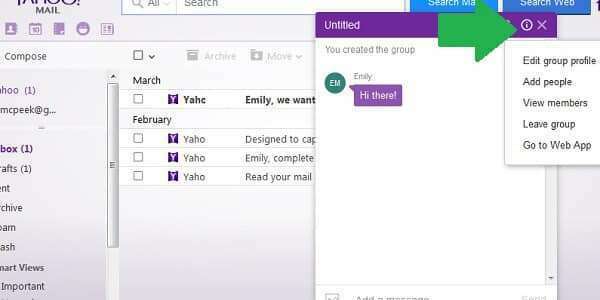 After that, you’ll see a window which may have some of your Yahoo contacts listed as suggestions for who to chat with. You don’t have to choose from them. To start a new chat, just click on the little pencil icon in the corner. This will open a new message window from the bottom of your screen. 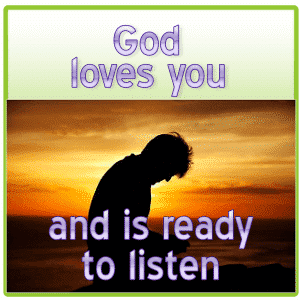 First, you’ll have to choose someone to send the message to. 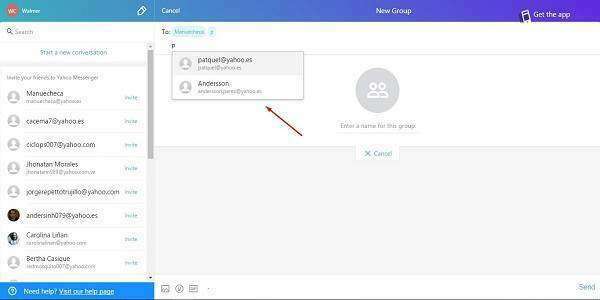 You can select from suggested contacts or enter someone’s email address manually in the “Add people by email or contact” box. 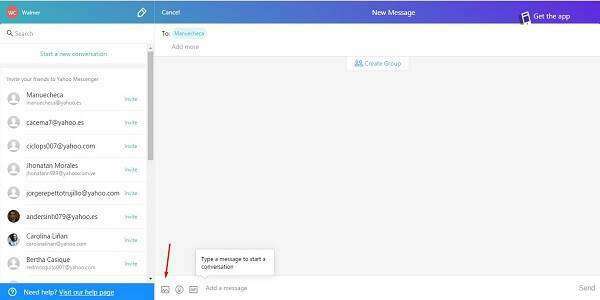 After you’ve added a contact to receive your chat message, you can type your message in the bottom portion where it says “Add a message”. 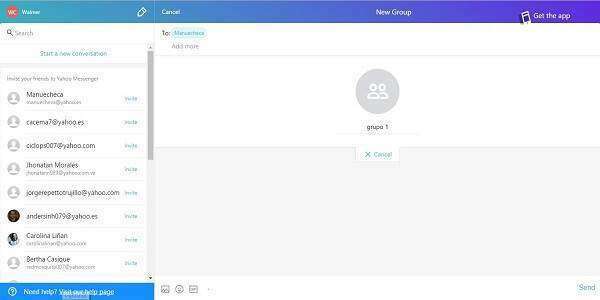 If you ever need to add someone else to the conversation, forming a group chat, just click on the “add contact” icon, and you’ll be taken back to the add contacts screen to enter the email address of the new person you want to add to the chat. You can also edit various aspects of the chat by clicking on the “information” icon. And that’s all there is to sending instant messages and chatting on Yahoo Messenger! You can send messages this way whether your contacts are currently online or not. If they aren’t, they’ll get your messages the next time the sign in. 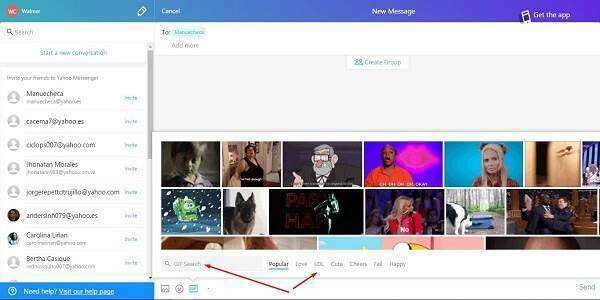 One last thing: Yahoo Messenger is a great way for sharing high resolution photos that might be too large to send via email. 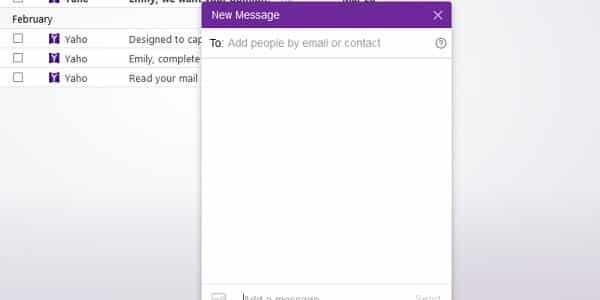 There is a little “photo” icon in the box where you type your message. 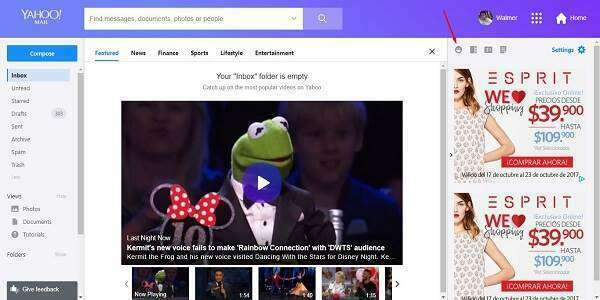 Clicking on it will let you browse for the pictures you want to share.